How does the one who called to misguidance and bid’ah rectify? By Imām Ibnul-Qayyim and Imām Ibn Qudāmah. So, Abdul-Rahmān Hassan: We know you are ignorant of the Salafi Manhaj just as the Hajāwirah who support you; they would memorise from their “shaikh”, Yahyā Al-Haddādī, texts and quotes yet not understand what they were memorising. They became amazed with themselves just as you have become amazed with yourself. You, and your hizb may well ask just as Al-Ma’ribī asked: “Why is my recantation not accepted?” Then we reply as Shaikh Muhammad Ibn Hādī (hafidhahullāh) replied: “Not until you have done what Ibn ‘Aqīl did. Not until you have nullified these doubts you brought, word by word!” This is our Salafiyyah. 1. He is ignorant of the details of the Salafi Manhaj and ‘Aqīdah yet he put himself forward to debate a takfīrī devil publicly on camera. This said takfīrī who has declared the kings of Saudi Arabia and the Salafi scholars to be unbelievers and apostates. 2. Throughout this debate Abdur-Rahmān is constantly seen “bootlicking” this takfīrī with lavish praises such that one is left in a state of bewilderment! This is a clear contradiction to Islām. 3. He refers to this takfīrī as “our shaikh…” throughout and admits benefitting from him, thus inviting others to benefit from him. Revering of a khārijī, pro-terrorist, pro-ISIS innovator opposes the Salafi Manhaj by the Revelation and ijmā’. 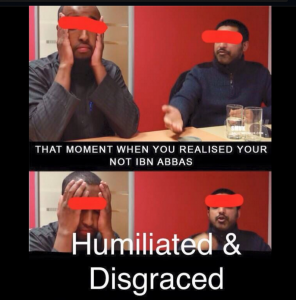 He took this innovator as his shaikh?! 4. After Abu Khadeejah corrected him and refuted him [without naming him], Abdur-Rahmaan responded with lies and falsehood [that he now recognises] yet has offered no apology to Abu Khadeejah for falsely accusing him. So he must name the video, remove it and make tawbah. He must apologise for making that lengthy worthless “refutation”. None of this has been done to-date. 5. He attacked Dārus-Sunnah and Salafi Publications and has still not retracted or apologised for the slander. Why? 6. His claim (or that of his hizb) that Shaikh Rabī’ praised the Khawārij when he knows full well that Shaikh Rabī’ was merely stating that the Khawārij of today are worse than the Khawārij of old in ‘aqeedah. So this accusation is a slur upon the honour of this major scholar. In this, he has followed the misguided hizbīs around him who have reviled Shaikh Rabī’ for several years due to their fanaticism for Alī Hasan Al-Halabī, Al-Hajūrī, Al-Ma’ribī and other deviants. Just look to his companionship. 7. He should thank Abu Khadeejah, Abdulilaah Lahmami, Salafi Publications and Dārus-Sunnah by name after his previous criticism of them because they were the ones who corrected him whilst his own hizb stood by for a year and patted his arrogant back and crippled him. 8. In his eagerness to refute Ahlus-Sunnah who repudiated his falsehood, he invented a lie against the Messenger (salallahu `alaihi wassallam) and his Companions for which he had no Salaf, no ‘Ālim and no sound reasoning except to justify his praise of ahlul-bid’ah. 9. Instead of accepting the truth and displaying humility after the scholars corrected him, he started “phoning around” for a “fatwa”, fishing in murky waters to oppose the clearcut statements of Shaikh Al-Fawzān, Shaikh Al-Luhaydhān, Shaikh Abdur-Rahmān Muhiyud-Dīn, Shaikh Abdullāh An-Najmī, and others. This is a disrespect to the scholars further illustrating his conniving, self-conceited character. 10. He must repent from his bid’ah wherein he insisted that it was valid to praise ahlul-bid’ah for the ‘good’ that is with them of worship, recital of the Qu’ran and so on (the bid`ah of al-Muwāzanah). He ascribed this praise of ahlul-bid’ah to Allāh’s Messenger (عليه الصلاة و السلام) and his Companions, thereby ascribing it to Islām. He persisted in this even after being refuted by Abu Khadeejah and Abdulilāh Lahmāmī. This is an innovation that opposes the texts and ijmā’. 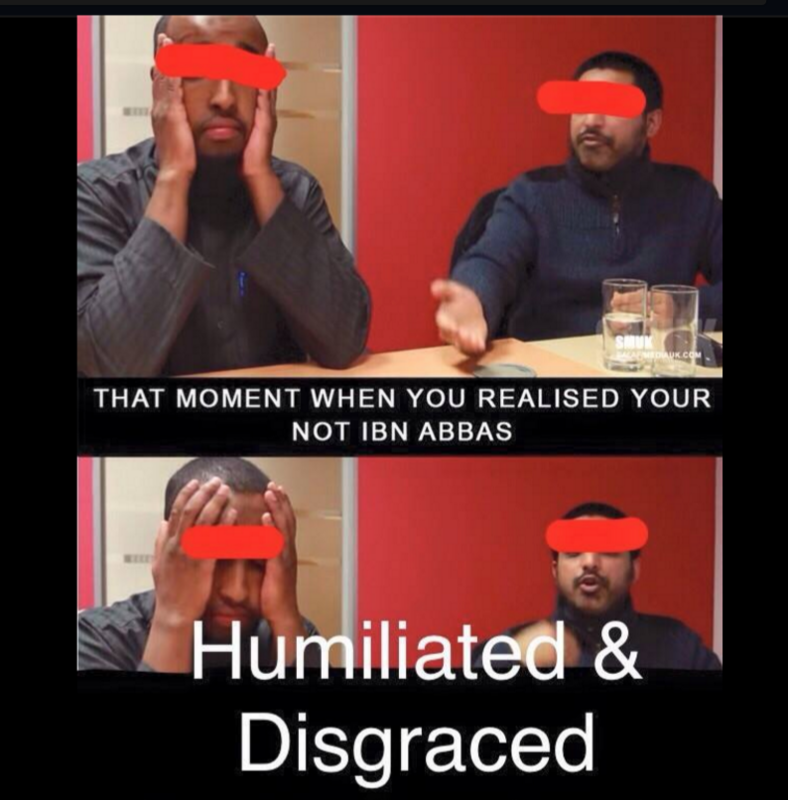 For these oppositions he must repent, recant and clarify in accordance to the Salafi Manhaj, not deliver a deceitful lecture [as he has done] on the “virtues of returning to the truth” for which his hizb have patted him on the back – the same hizb who patted him on the back for his original crime – and the same hizb who will no doubt pat him on his back regardless of his crimes until he becomes too much of a liability for them! Then there is the issue of his hizbiyyah which still flows through him in torrents due to his attachment to Al-Halabī, Al-Huwainī, the Hajāwirah, etc. That will require some serious sincerity. May Allāh guide him or break him.